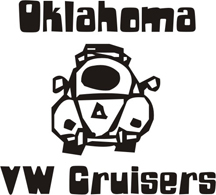 The Tulsa VW club has invited us to cruise with them on Route 66. They are cruising from Tulsa to Bricktown in OKC. I thought we could meet them in Stroud at the Rock Cafe and cruise the rest of the way in with them. We can meet at POPS at 9:00 AM and meet them in Stroud around 10 or so. Hope everyone is not too hung over from pattys day. Sounds like fun. I'll see if the wife will let me go, and or join me! Are we going to eat at the Rock? I will be there with the family in the Limo. Yes I believe we are going to eat at the Rock. There is awinery on the south side of town. they have great wine slush and a patio out back. the owner is a VW guy. Which one is it? Stable Ridge is my favorite, but the others are good too. Snot Rod will be making the inaugural first trip out of town, if you see a long line of traffic on 'ol 66 i will be in front of the pack! Any idea what time and where everyone will meet up in Brictown? I'd like to bring mine out, but I don't trust it to go that far. Had a good time, nice folks from Tulsa.